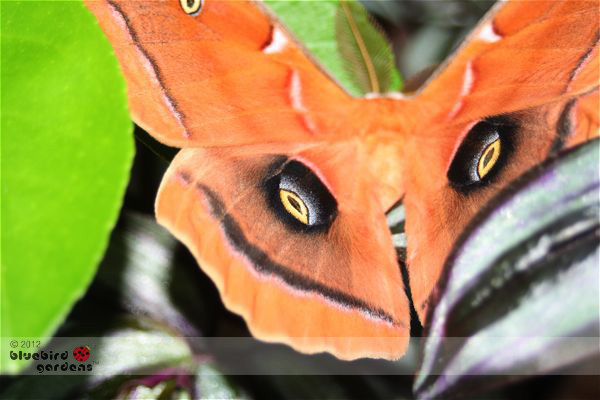 It's Polyphemus, a 3.5-5.5 inch Missouri native moth found from mid-April through August. It's the second largest Missouri moth. According to "Butterflies and Moths of Missouri" by J. Richard and Joan E. Heitzman, larvae have been reported in more than 20 species of trees and shrubs including soft maple, birch, hazelnut and oak. This youngster was sitting in one of my potted tropical lime trees on my deck. Maybe it was on vacation.